Why A Web Designer in Perth is Important to your Business? Bestow a brand new vitality into your business website with Aleph IT Web Designer Perth. Our company is committed to cater effective, powerful, and diverse web design that fosters business to be on top of other online business competitors. From start-ups to large firms, or outdated and new websites, we are always ready to give you our service which always exceeds all expectations. website. Hence, it only takes 4 – 6 seconds to make up one’s mind whether they are going to keep browsing or not. Therefore, putting up a positive first impression is a must. The average active user of the internet in Australia is 75% of the entire population rate. It is an indication that consumers are more fascinated and active in an online world more than ever. With these numbers, it is a high- priority to invest in a web designer that delivers your business at an exceptional high standard. Here at Aleph IT our mission is to give you the best web design that showcases consistency and authenticity. We believe that what we design, above all, represents your company on the front line. The reason that we give a great value and importance of our service credibility is due to the extension of our deepest understanding of online marketing missions and visions. User-friendly layout. We make sure everything is clear and simple but elegant to navigate. It maximizes the comfort of browsing to your site. From the presentation of menu, colors, links and content. Customized Website Design. It means designing the website through owners per specification and is favorable to user’s guidelines. Therefore, a web designer duty is to give you several options to enhance the capability of your website. Options include visual, textual, or aural content (text, images, videos, animation, or sounds). It could be both adaptable to company and costumer’s need. 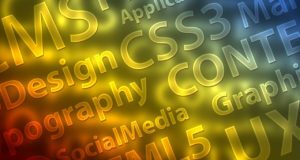 With Web Designer Perth, we ensure to create a website which is original and unique from any other website. Home Page High – Performing. Have you ever experienced peeking in a store window and deciding whether to come in or not? Well, a home page is also like a virtual store front. A face that appears first on your website. To persuade visitors to go through your website, you must have a strong home page advertisement. In order to achieve that, a web designer creates mindful strategies to catch the attention of the possible prospects. In addition, creating a logo serves as a magical symbol to represents one business or brand. Provide catching taglines that summarise the whole concept of your business. Moreover, a vivid starting point to take their first leap in site navigation like a search box or a link perhaps. Additionally, decorate it with significant and relevant graphics that speaks and penetrates through the business soul. Consulting a Web Developer is not expensive it is simply an investment. Grab a quality and affordable Web Designer in Perth at Aleph IT. Enquire now and revamp your website from average to exceptional. This entry was posted in Aleph IT Services and tagged affordable web design, find a web designer, hire a web designer, web designer, web designer perth.